Comfortably furnished semi-detached studio for 2 persons with private terrace near the communal swimming pool. The central location near the swimming pool makes it the ideal setting for a relaxing stay. Just 200 metres from Quarteira’s finest beaches and the Atlantic Coast, Torres Mira Praia offers apartments with a private balcony and fully-equipped kitchenettes. Vilamoura is located 2.4 km away. 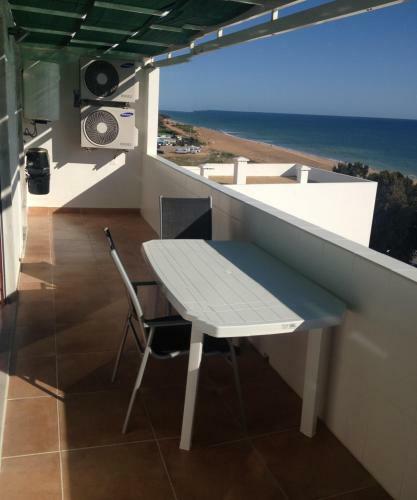 Located 3.6 km from Aquashow Water Park in Quarteira, this apartment features a sun terrace. Guests benefit from balcony. Free WiFi is offered throughout the property and free private parking is available on site.